Metrorail will be completely shut down for 16 straight days along four stations on the Blue, Orange and Silver lines. Service also will be shut down between two stations in Northern Virginia. The first of Metro's 15 "safety surges" ended Thursday -- but the trouble is just beginning for some commuters. Starting Saturday, Metrorail service will be shut down for 16 straight days in a segment of the Orange, Blue and Silver lines in D.C.; two stations will be closed, and another two will have travel only in one direction. In addition, service also will be eliminated between two stations in Northern Virginia. 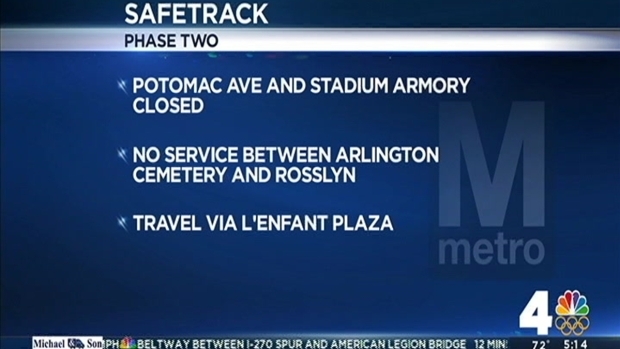 Officials are warning commuters to make alternate transportation plans immediately for the second of Metro's "safety surges." Commuters are asked to work from home if they can. "Unlike the first surge, this is a complete rail shutdown" in the affected area, Metro's General Manager Paul Wiedefeld said. The first of Metro's 15 "safety surges" is coming to an end, but the trouble is just beginning for some commuters. The Orange, Blue and Silver lines will be shut down from Eastern Market to Minnesota Avenue and Benning Road. The Potomac Avenue and Stadium-Armory stations will be closed. Wiedefeld said the shutdown will happen in a difficult area in which to work, because the normally busy stretch of track is along an elevated structure that stretches across the Anacostia River. 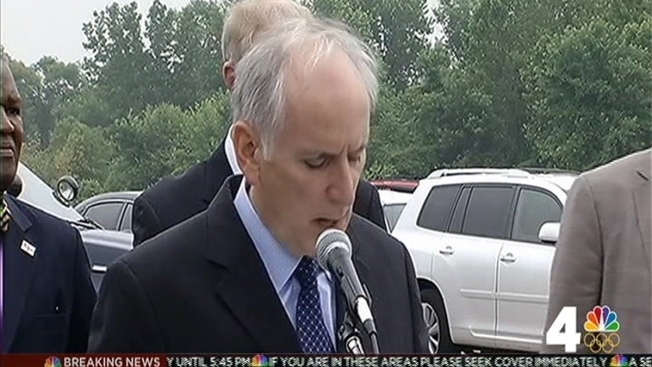 "No trains in any direction, any time, not rush hour, not weekends, any time," Wiedefeld said. "So please, please keep that in mind." Shuttle buses will replace trains in that area, but Metro officials said they may be extremely crowded and will not be able to handle the volume of riders that area of the Orange, Blue and Silver lines normally accommodates. "You need to have a game plan, and you need to come up with it now," Wiedefeld said earlier in the week. In Northern Virginia, there will be no train or bus service between Arlington Cemetery and Rosslyn on the Blue Line. 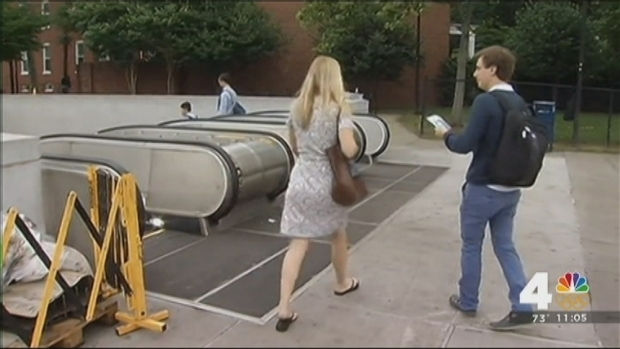 Metro says commuters should travel via L'Enfant Plaza instead. Starting Saturday, Metrorail service will be completely shut down for 16 straight days among four stations on eastern end of the Orange, Blue and Silver lines in D.C., and service will be also eliminated between two stations in Northern Virginia. Yellow Rush+ trains will run all day; riders should use the Yellow Line for service between Virginia and D.C.